Galileo is the global navigation satellite system (GNSS) that went live in 2016, created by the European Union (EU) through the European GNSS Agency (GSA), headquartered in Prague in the Czech Republic, with two ground operations centres, Oberpfaffenhofen near Munich in Germany and Fucino in Italy. The €10 billion project is named after the Italian astronomer Galileo Galilei. One of the aims of Galileo is to provide an independent high-precision positioning system so European nations do not have to rely on the U.S. GPS, or the Russian GLONASS systems, which could be disabled or degraded by their operators at any time. The use of basic (lower-precision) Galileo services will be free and open to everyone. The higher-precision capabilities will be available for paying commercial users. Galileo is intended to provide horizontal and vertical position measurements within 1-metre precision, and better positioning services at higher latitudes than other positioning systems. Galileo is also to provide a new global search and rescue (SAR) function as part of the MEOSAR system. The first Galileo test satellite, the GIOVE-A, was launched 28 December 2005, while the first satellite to be part of the operational system was launched on 21 October 2011. As of July 2018, 26 of the planned 30 active satellites are in orbit. Galileo started offering Early Operational Capability (EOC) on 15 December 2016, providing initial services with a weak signal, and is expected to reach Full Operational Capability (FOC) in 2019. The complete 30-satellite Galileo system (24 operational and 6 active spares) is expected by 2020. It is expected that the next generation of satellites will begin to become operational by 2025 to replace older equipment. Older systems can then be used for backup capabilities. There are 22 satellites in usable condition (satellite is operational and contributing to the service provision), 2 satellites are in "testing" and 2 more are marked as not available. In 1999, the different concepts of the three main contributors of ESA (Germany, France and Italy) for Galileo were compared and reduced to one by a joint team of engineers from all three countries. The first stage of the Galileo programme was agreed upon officially on 26 May 2003 by the European Union and the European Space Agency. The system is intended primarily for civilian use, unlike the more military-oriented systems of the United States (GPS), Russia (GLONASS), and China (BeiDou-1/2). The European system will only be subject to shutdown for military purposes in extreme circumstances (like armed conflict). It will be available at its full precision to both civil and military users. The countries that contribute most to the Galileo Project are Germany and Italy. The European Commission had some difficulty funding the project's next stage, after several allegedly "per annum" sales projection graphs for the project were exposed in November 2001 as "cumulative" projections which for each year projected included all previous years of sales. The attention that was brought to this multibillion-euro growing error in sales forecasts resulted in a general awareness in the Commission and elsewhere that it was unlikely that the program would yield the return on investment that had previously been suggested to investors and decision-makers. [better source needed] On 17 January 2002, a spokesman for the project stated that, as a result of US pressure and economic difficulties, "Galileo is almost dead." A few months later, however, the situation changed dramatically. European Union member states decided it was important to have a satellite-based positioning and timing infrastructure that the US could not easily turn off in times of political conflict. The European Union and the European Space Agency agreed in March 2002 to fund the project, pending a review in 2003 (which was completed on 26 May 2003). The starting cost for the period ending in 2005 is estimated at €1.1 billion. The required satellites (the planned number is 30) were to be launched between 2011 and 2014, with the system up and running and under civilian control from 2019. The final cost is estimated at €3 billion, including the infrastructure on Earth, constructed in 2006 and 2007. The plan was for private companies and investors to invest at least two-thirds of the cost of implementation, with the EU and ESA dividing the remaining cost. The base Open Service is to be available without charge to anyone with a Galileo-compatible receiver, with an encrypted higher-bandwidth improved-precision Commercial Service available at a cost. By early 2011 costs for the project had run 50% over initial estimates. Galileo is intended to be an EU civilian GNSS that allows all users access to it. Initially GPS reserved the highest quality signal for military use, and the signal available for civilian use was intentionally degraded (Selective Availability). This changed with President Bill Clinton signing a policy directive in 1996 to turn off Selective Availability. Since May 2000 the same precision signal has been provided to both civilians and the military. Since Galileo was designed to provide the highest possible precision (greater than GPS) to anyone, the US was concerned that an enemy could use Galileo signals in military strikes against the US and its allies (some weapons like missiles use GNSSs for guidance). The frequency initially chosen for Galileo would have made it impossible for the US to block the Galileo signals without also interfering with its own GPS signals. The US did not want to lose their GNSS capability with GPS while denying enemies the use of GNSS. Some US officials became especially concerned when Chinese interest in Galileo was reported. An anonymous EU official claimed that the US officials implied that they might consider shooting down Galileo satellites in the event of a major conflict in which Galileo was used in attacks against American forces. The EU's stance is that Galileo is a neutral technology, available to all countries and everyone. At first, EU officials did not want to change their original plans for Galileo, but have since reached the compromise that Galileo is to use a different frequency. This allowed the blocking or jamming of either GNSS without affecting the other. One of the reasons given for developing Galileo as an independent system was that position information from GPS can be made significantly inaccurate by the deliberate application of universal Selective Availability (SA) by the US military. GPS is widely used worldwide for civilian applications; Galileo's proponents argued that civil infrastructure, including airplane navigation and landing, should not rely solely upon a system with this vulnerability. On 2 May 2000, SA was disabled by the President of the United States, Bill Clinton; in late 2001 the entity managing the GPS confirmed that they did not intend to enable selective availability ever again. Though Selective Availability capability still exists, on 19 September 2007 the US Department of Defense announced that newer GPS satellites would not be capable of implementing Selective Availability; the wave of Block IIF satellites launched in 2009, and all subsequent GPS satellites, are stated not to support SA. As old satellites are replaced in the GPS Block IIIA program, SA will cease to be an option. The modernisation programme also contains standardised features that allow GPS III and Galileo systems to inter-operate, allowing receivers to be developed to utilise GPS and Galileo together to create an even more accurate GNSS. In June 2004, in a signed agreement with the United States, the European Union agreed to switch to a modulation known as BOC(1,1) (Binary Offset Carrier 1.1) allowing the coexistence of both GPS and Galileo, and the future combined use of both systems. The European Union also agreed to address the "mutual concerns related to the protection of allied and US national security capabilities." The first experimental satellite, GIOVE-A, was launched in December 2005 and was followed by a second test satellite, GIOVE-B, launched in April 2008. After successful completion of the In-Orbit Validation (IOV) phase, additional satellites were launched. On 30 November 2007 the 27 EU transport ministers involved reached an agreement that Galileo should be operational by 2013, but later press releases suggest it was delayed to 2014. In mid-2006 the public/private partnership fell apart, and the European Commission decided to nationalise the Galileo programme. In early 2007 the EU had yet to decide how to pay for the system and the project was said to be "in deep crisis" due to lack of more public funds. German Transport Minister Wolfgang Tiefensee was particularly doubtful about the consortium's ability to end the infighting at a time when only one testbed satellite had been successfully launched. Although a decision was yet to be reached, on 13 July 2007 EU countries discussed cutting €548m ($755m, £370m) from the union's competitiveness budget for the following year and shifting some of these funds to other parts of the financing pot, a move that could meet part of the cost of the union's Galileo satellite navigation system. European Union research and development projects could be scrapped to overcome a funding shortfall. In November 2007, it was agreed to reallocate funds from the EU's agriculture and administration budgets and to soften the tendering process in order to invite more EU companies. In April 2008, the EU transport ministers approved the Galileo Implementation Regulation. This allowed the €3.4bn to be released from the EU's agriculture and administration budgets to allow the issuing of contracts to start construction of the ground station and the satellites. In June 2009, the European Court of Auditors published a report, pointing out governance issues, substantial delays and budget overruns that led to project stalling in 2007, leading to further delays and failures. In October 2009, the European Commission cut the number of satellites definitively planned from 28 to 22, with plans to order the remaining six at a later time. It also announced that the first OS, PRS and SoL signal would be available in 2013, and the CS and SOL some time later. The €3.4 billion budget for the 2006–2013 period was considered insufficient. In 2010 the think-tank Open Europe estimated the total cost of Galileo from start to 20 years after completion at €22.2 billion, borne entirely by taxpayers. Under the original estimates made in 2000, this cost would have been €7.7 billion, with €2.6 billion borne by taxpayers and the rest by private investors. In November 2009, a ground station for Galileo was inaugurated near Kourou (French Guiana). The launch of the first four in-orbit validation (IOV) satellites was planned for the second half of 2011, and the launch of full operational capability (FOC) satellites was planned to start in late 2012. In March 2010 it was verified that the budget for Galileo would only be available to provide the 4 IOV and 14 FOC satellites by 2014, with no funds then committed to bring the constellation above this 60% capacity. Paul Verhoef, the satellite navigation program manager at the European Commission, indicated that this limited funding would have serious consequences commenting at one point "To give you an idea, that would mean that for three weeks in the year you will not have satellite navigation" in reference to the proposed 18-vehicle constellation. In July 2010, the European Commission estimated further delays and additional costs of the project to grow up to €1.5-€1.7 billion, and moved the estimated date of completion to 2018. After completion the system will need to be subsidised by governments at €750 million per year. An additional €1.9 billion was planned to be spent bringing the system up to the full complement of 30 satellites (27 operational + 3 active spares). In December 2010, EU ministers in Brussels voted Prague, in the Czech Republic, as the headquarters of the Galileo project. In January 2011, infrastructure costs up to 2020 were estimated at €5.3 billion. In that same month, Wikileaks revealed that Berry Smutny, the CEO of the German satellite company OHB-System, said that Galileo "is a stupid idea that primarily serves French interests". The BBC learned in 2011 that €500 million (£440M) would become available to make the extra purchase, taking Galileo within a few years from 18 operational satellites to 24. The first two Galileo In-Orbit Validation satellites were launched by Soyuz ST-B flown from Guiana Space Centre on 21 October 2011, and the remaining two on 12 October 2012. Twenty-two further satellites with Full Operational Capability (FOC) were on order as of 1 January 2018[update]. The first four pairs of satellites were launched on 22 August 2014, 27 March 2015, 11 September 2015 and 17 December 2015. In January 2017, news agencies reported that six of the passive hydrogen masers and three of the rubidium atomic clocks had failed. Four of the full operational satellites have each lost at least one clock; but no satellite has lost more than two. The operation of the constellation has not been affected as each satellite is launched with three spare clocks. The possibility of a systemic flaw is being considered. SpectraTime, the Swiss producer of both on-board clock types, declined to comment. According to ESA they concluded with their industrial partners for the rubidium atomic clocks that some implemented testing and operational measures were required. Additionally some refurbishment is required for the rubidium atomic clocks that still have to be launched. For the passive hydrogen masers operational measures are being studied to reduce the risk of failure. China and India use the same SpectraTime-built atomic clocks in their satellite navigation systems. ESA has contacted the Indian Space Research Organisation (ISRO) who initially reported not having experienced similar failures. However, at the end of January 2017, Indian news outlets reported that all three clocks aboard the IRNSS-1A satellite (launched in July 2013 with a 10-year life expectancy) had failed and that a replacement satellite would be launched in the second half of 2017, these atomic clocks were said to be supplied under a four-million-euro deal. In July 2017 the European Commission reported that the main causes of the malfunctions have been identified and measures have been put in place to reduce the possibility of further malfunctions of the satellites already in space. According to European sources ESA took measures to correct both identified sets of problems by replacing a faulty component that can cause a short circuit in the rubidium clocks and improve the passive hydrogen maser clocks as well on satellites still to be launched. In September 2003, China joined the Galileo project. China was to invest €230 million (US$302 million, GBP 155 million, CNY 2.34 billion) in the project over the following years. In July 2004, Israel signed an agreement with the EU to become a partner in the Galileo project. On 3 June 2005 the EU and Ukraine signed an agreement for Ukraine to join the project, as noted in a press release. As of November 2005, Morocco also joined the programme. In Mid-2006, the Public-Private Partnership fell apart and the European Commission decided to nationalise Galileo as an EU programme. In November 2006, China opted instead to upgrade BeiDou navigation system, its then-regional satellite navigation system. The decision was due to security concerns and issues with Galileo financing. On 30 November 2007, the 27 member states of the European Union unanimously agreed to move forward with the project, with plans for bases in Germany and Italy. Spain did not approve during the initial vote, but approved it later that day. This greatly improved the viability of the Galileo project: "The EU's executive had previously said that if agreement was not reached by January 2008, the long-troubled project would essentially be dead." On 3 April 2009, Norway too joined the programme pledging €68.9 million toward development costs and allowing its companies to bid for the construction contracts. Norway, while not a member of the EU, is a member of ESA. On 18 December 2013, Switzerland signed a cooperation agreement to fully participate in the program, and retroactively contributed €80 million for the period 2008–2013. As a member of ESA, it already collaborated in the development of the Galileo satellites, contributing the state-of-the-art hydrogen-maser clocks. Switzerland's financial commitment for the period 2014–2020 will be calculated in accordance with the standard formula applied for the Swiss participation in the EU research Framework Programme. In March 2018, the European Commission announced that the United Kingdom may be excluded from parts of the project (especially relating to the secured service PRS) following its exit from the European Union (EU). As a result, Airbus plans to relocate work on the Ground Control Segment (GCS) from its Portsmouth premises to an EU state. British officials have been reported to be seeking legal advice on whether they can reclaim the €1.4 billion invested by the United Kingdom, of the €10 billion spent to date. In a speech at the EU Institute for Security Studies conference, the EU Chief Negotiator in charge of the Brexit negotiations, Michel Barnier, stressed the EU position that the UK had decided to leave the EU and thus all EU programmes, including Galileo. In August 2018, it was reported the UK will look to create a competing satellite navigation system to Galileo post-Brexit. In December 2018, British Prime Minister Theresa May announced that the UK would no longer seek to reclaim the investment, and Science Minister Sam Gyimah resigned over the matter. 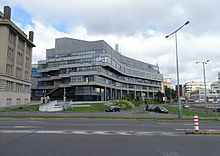 1 Service Center, located in Madrid, to help Galileo users. This will be available without charge for use by anyone with appropriate mass-market equipment; simple timing, and positioning down to 1 metre. Accuracy to 1 centimetre and guaranteed service for which service providers will charge fees. Open service; for applications where guaranteed precision is essential. Integrity messages will warn of errors. Continuous availability even if other services are disabled in time of crisis. Government agencies will be main users. System will pick up distress beacon locations; feasible to send feedback, e.g. confirming help is on its way. Other secondary services will also be available. Each Galileo satellite has two master passive hydrogen maser atomic clocks and two secondary rubidium atomic clocks which are independent of one other. As precise and stable space-qualified atomic clocks are critical components to any satellite-navigation system, the employed quadruple redundancy keeps Galileo functioning when onboard atomic clocks fail in space. The onboard passive hydrogen maser clocks' precision is four times better than the onboard rubidium atomic clocks and estimated at 1 second per 3 million years (a timing error of a nanosecond or 1 billionth of a second (10−9 or 1/1,000,000,000 s) translates into a 30 cm (11.8 in) positional error on Earth's surface), and will provide an accurate timing signal to allow a receiver to calculate the time that it takes the signal to reach it. The Galileo satellites are configured to run one hydrogen maser clock in primary mode and a rubidium clock as hot backup. Under normal conditions, the operating hydrogen maser clock produces the reference frequency from which the navigation signal is generated. Should the hydrogen maser encounter any problem, an instantaneous switchover to the rubidium clock would be performed. In case of a failure of the primary hydrogen maser the secondary hydrogen maser could be activated by the ground segment to take over within a period of days as part of the redundant system. A clock monitoring and control unit provides the interface between the four clocks and the navigation signal generator unit (NSU). It passes the signal from the active hydrogen master clock to the NSU and also ensures that the frequencies produced by the master clock and the active spare are in phase, so that the spare can take over instantly should the master clock fail. The NSU information is used to calculate the position of the receiver by trilaterating the difference in received signals from multiple satellites. The onboard passive hydrogen maser and rubidium clocks are very stable over a few hours. If they were left to run indefinitely, though, their timekeeping would drift, so they need to be synchronized regularly with a network of even more stable ground-based reference clocks. These include active hydrogen maser clocks and clocks based on the caesium frequency standard, which show a far better medium and long-term stability than rubidium or passive hydrogen maser clocks. These clocks on the ground are gathered together within the parallel functioning Precise Timing Facilities in the Fucino and Oberpfaffenhofen Galileo Control Centres. The ground based clocks also generate a worldwide time reference called Galileo System Time (GST), the standard for the Galileo system and are routinely compared to the local realizations of UTC, the UTC(k) of the European frequency and time laboratories. For more information of the concept of global satellite navigation systems, see GNSS and GNSS positioning calculation. Galileo is to provide a new global search and rescue (SAR) function as part of the MEOSAR system. Satellites will be equipped with a transponder which will relay distress signals from emergency beacons to the Rescue coordination centre, which will then initiate a rescue operation. At the same time, the system is projected to provide a signal, the Return Link Message (RLM), to the emergency beacon, informing them that their situation has been detected and help is on the way. This latter feature is new and is considered a major upgrade compared to the existing Cospas-Sarsat system, which does not provide feedback to the user. Tests in February 2014 found that for Galileo's search and rescue function, operating as part of the existing International Cospas-Sarsat Programme, 77% of simulated distress locations can be pinpointed within 2 km, and 95% within 5 km. In 2004 the Galileo System Test Bed Version 1 (GSTB-V1) project validated the on-ground algorithms for Orbit Determination and Time Synchronisation (OD&TS). This project, led by ESA and European Satellite Navigation Industries, has provided industry with fundamental knowledge to develop the mission segment of the Galileo positioning system. GIOVE-A is the first GIOVE (Galileo In-Orbit Validation Element) test satellite. It was built by Surrey Satellite Technology Ltd (SSTL), and successfully launched on 28 December 2005 by the European Space Agency and the Galileo Joint. Operation of GIOVE-A ensured that Galileo meets the frequency-filing allocation and reservation requirements for the International Telecommunication Union (ITU), a process that was required to be complete by June 2006. GIOVE-B, built by Astrium and Thales Alenia Space, has a more advanced payload than GIOVE-A. It was successfully launched on 27 April 2008 at 22:16 UTC (4.16 am Baikonur time) aboard a Soyuz-FG/Fregat rocket provided by Starsem. A third satellite, GIOVE-A2, was originally planned to be built by SSTL for launch in the second half of 2008. Construction of GIOVE-A2 was terminated due to the successful launch and in-orbit operation of GIOVE-B. The GIOVE Mission segment operated by European Satellite Navigation Industries used the GIOVE-A/B satellites to provide experimental results based on real data to be used for risk mitigation for the IOV satellites that followed on from the testbeds. ESA organised the global network of ground stations to collect the measurements of GIOVE-A/B with the use of the GETR receivers for further systematic study. GETR receivers are supplied by Septentrio as well as the first Galileo navigation receivers to be used to test the functioning of the system at further stages of its deployment. Signal analysis of GIOVE-A/B data confirmed successful operation of all the Galileo signals with the tracking performance as expected. These testbed satellites were followed by four IOV Galileo satellites that are much closer to the final Galileo satellite design. The Search & Rescue feature is also installed. The first two satellites were launched on 21 October 2011 from Guiana Space Centre using a Soyuz launcher, the other two on 12 October 2012. This enables key validation tests, since earth-based receivers such as those in cars and phones need to "see" a minimum of four satellites in order to calculate their position in three dimensions. Those 4 IOV Galileo satellites were constructed by Astrium GmbH and Thales Alenia Space. On 12 March 2013, a first fix was performed using those four IOV satellites. Once this In-Orbit Validation (IOV) phase has been completed, the remaining satellites will be installed to reach the Full Operational Capability. On 7 January 2010, it was announced that the contract to build the first 14 FOC satellites was awarded to OHB System and Surrey Satellite Technology Limited (SSTL). Fourteen satellites will be built at a cost of €566M (£510M; $811M). Arianespace will launch the satellites for a cost of €397M (£358M; $569M). The European Commission also announced that the €85 million contract for system support covering industrial services required by ESA for integration and validation of the Galileo system had been awarded to Thales Alenia Space. Thales Alenia Space subcontract performances to Astrium GmbH and security to Thales Communications. In February 2012, an additional order of eight satellites was awarded to OHB Systems for €250M ($327M), after outbidding EADS Astrium tender offer. Thus bringing the total to 22 FOC satellites. On 7 May 2014, the first two FOC satellites landed in Guyana for their joint launch planned in summer Originally planned for launch during 2013, problems tooling and establishing the production line for assembly led to a delay of a year in serial production of Galileo satellites. These two satellites (Galileo satellites GSAT-201 and GSAT-202) were launched on 22 August 2014. The names of these satellites are Doresa and Milena named after European children who had previously won a drawing contest. On 23 August 2014, launch service provider Arianespace announced that the flight VS09 experienced an anomaly and the satellites were injected into an incorrect orbit. They ended up in elliptical orbits and thus could not be used for navigation. However, it was later possible to use them to do a physics experiment, so they were not a complete loss. Satellites GSAT-203 and GSAT-204 were launched successfully on 27 March 2015 from Guiana Space Centre using a Soyuz four stage launcher. Using the same Soyuz launcher and launchpad, satellites GSAT-205 (Alba) and GSAT-206 (Oriana) were launched successfully on 11 September 2015. Satellites GSAT-208 (Liene) and GSAT-209 (Andriana) were successfully launched from Kourou, French Guiana, using the Soyuz launcher on December 17, 2015. Satellites GSAT-210 (Daniele) and GSAT-211 (Alizée) were launched on 24 May 2016. Starting in November 2016, deployment of the last twelve satellites will use a modified Ariane 5 launcher, named Ariane 5 ES, capable of placing four Galileo satellites into orbit per launch. Satellites GSAT-207 (Antonianna), GSAT-212 (Lisa), GSAT-213 (Kimberley), GSAT-214 (Tijmen) were successfully launched from Kourou, French Guiana, on 17 November 2016 on an Ariane 5 ES. On 15 December 2016, Galileo started offering Initial Operational Capability (IOC). The services currently offered are Open Service, Public Regulated Service and Search and Rescue Service. Satellites GSAT-215 (Nicole), GSAT-216 (Zofia), GSAT-217 (Alexandre), GSAT-218 (Irina) were successfully launched from Kourou, French Guiana, on 12 December 2017 on an Ariane 5 ES. Satellites GSAT-219 (Tara), GSAT-220 (Samuel), GSAT-221 (Anna), GSAT-222 (Ellen) were successfully launched from Kourou, French Guiana, on 25 July 2018 on an Ariane 5 ES. As of 2014, ESA and its industry partners have begun studies on Galileo Second Generation satellites, which will be presented to the EC for the late 2020s launch period. One idea is to employ electric propulsion, which would eliminate the need for an upper stage during launch and allow satellites from a single batch to be inserted into more than one orbital plane. The new generation satellites are expected to be available by 2025. and serve to augment the existing network. In July 2006 an international consortium of universities and research institutions embarked on a study of potential scientific applications of the Galileo constellation. This project, named GEO6, is a broad study oriented to the general scientific community, aiming to define and implement new applications of Galileo. Among the various GNSS users identified by the Galileo Joint Undertaking, the GEO6, project addresses the Scientific User Community (UC). The GEO6 project aims at fostering possible novel applications within the scientific UC of GNSS signals, and particularly of Galileo. The AGILE project is an EU-funded project devoted to the study of the technical and commercial aspects of location-based services (LBS). It includes technical analysis of the benefits brought by Galileo (and EGNOS) and studies the hybridisation of Galileo with other positioning technologies (network-based, WLAN, etc.). Within these project, some pilot prototypes were implemented and demonstrated. On the basis of the potential number of users, potential revenues for Galileo Operating Company or Concessionaire (GOC), international relevance, and level of innovation, a set of Priority Applications (PA) will be selected by the consortium and developed within the time-frame of the same project. These applications will help to increase and optimise the use of the EGNOS services and the opportunities offered by the Galileo Signal Test-Bed (GSTB-V2) and the Galileo (IOV) phase. The European Satellite Navigation project was selected as the main motif of a very high-value collectors' coin: the Austrian European Satellite Navigation commemorative coin, minted on 1 March 2006. The coin has a silver ring and gold-brown niobium "pill". In the reverse, the niobium portion depicts navigation satellites orbiting the Earth. The ring shows different modes of transport, for which satellite navigation was developed: an airplane, a car, a lorry, a train and a container ship. All major GNSS receiver chips support Galileo and hundreds of end-user devices are compatible with Galileo. Since 2017, the first mainstream smartphones with this capability were Samsung Galaxy S8, Moto X4, Apple iPhone 8 and Apple iPhone X. Until late 2018, GNSS was not authorized for use in the United States, and as such, only variably worked on devices that could receive Galileo signals, within United States territory. The Federal Communications Commission's position on the matter was (and remains) that non-GPS radio navigation satellite systems (RNSS) receivers must be granted a license to receive said signals. A waiver of this requirement for Galileo was requested by the EU and submitted in 2015, and on January 6, 2017, public comment on the matter was requested. On November 15, 2018, the FCC granted the requested waiver, explicitly allowing non-federal consumer devices to access Galileo E1 and E5 frequencies. At the end of 2018, there were more than 70 Galileo-enabled smartphones on the market. As of 2018, Galileo is found in every new vehicle sold in Europe, thus enabling the eCall emergency response system. As of early 2019, the only dual-frequency GNSS (tracks more than one radio signal from each satellite, E1 and E5a frequencies for Galileo) on Android devices are Xiaomi Mi 8 and Xiaomi Mi Mix 3 (based on GPSTest app). Android support for dual frequency GNSS is therefore questioned. ^ a b c "Galileo begins serving the globe". European Space Agency. Retrieved 15 December 2016. ^ "Constellation Information | European GNSS Service Centre". www.gsc-europa.eu. Retrieved 2019-02-11. ^ a b c "Brexit is breaking up Europe's €10 billion plan to launch a new constellation of satellites". Quartz. Retrieved 28 April 2018. ^ a b "UseGalileo - Find a galileo-enabled device to use today". www.usegalileo.eu. Retrieved 2019-01-12. ^ "On a Civil Global Navigation Satellite System (GNSS) between the European Community and its Member States and Ukraine" (PDF). Retrieved 12 January 2015. ^ "The opening ceremony of GSA Agency´s headquarters was attended by VIPs in space activities & satellite navigation". www.czechspaceportal.cz (in Czech). 10 September 2012. ^ "Galileo navigational system enters testing stage". Deutsche Welle. Retrieved 13 October 2012. ^ "Why Europe needs Galileo". ESA. 12 April 2010. Retrieved 21 June 2014. ^ "New Satellite Launch Extends Galileo's Global Reach". European Space Agency. European Space Agency. 25 July 2018. Retrieved 23 September 2018. ^ "Galileo launch brings navigation network close to completion". 2017-12-13. ^ "Galileo's contribution to the MEOSAR system". European Commission. Retrieved 30 December 2015. ^ Launch of first 2 operational Galileo IOV Satellites Archived 1 October 2011 at the Wayback Machine. Ec.europa.eu (21 October 2011). Retrieved on 29 October 2011. ^ "Latest batch of Galileo satellites enters service". www.gsa.europa.eu. 2019-02-12. Retrieved 2019-02-17. ^ "Constellation Information | European GNSS Service Centre". www.gsc-europa.eu. Retrieved 2019-01-22. ^ "Italy and Germany make step towards Galileo satellite navigation programme financing resolution". 23 November 2007. ^ "EU Admits Military Use for Galileo". theTrumpet.com. ^ "Italy and Germany reach agreement on Galileo contributions - News - CORDIS - European Commission". ^ Ian Sample Europe and US clash on satellite system. Guardian.co.uk. 8 December 2003. Retrieved 29 October 2011. ^ Johnson, Chalmers (2008). Nemesis: The Last Days of the American Republic. Holt. p. 235. ISBN 0-8050-8728-1. ^ a b Taverna, Michael A. (1 February 2011). "Completing Galileo To Cost $2.5 Billion". Aviation Weekly. ^ "GPS & Selective Availability Q&A" (PDF). NOAA. Archived from the original (PDF) on September 21, 2005. Retrieved May 28, 2010. ^ "EU, U.S. split over Galileo M-code overlay". GPS World. FindArticles.com. December 2002. Archived from the original on 2009-06-28. Retrieved 9 December 2008. ^ "US Could Shoot Down EU Satellites if Used by Foes in Wartime". AFP. 24 October 2004. Retrieved 9 September 2008. ^ Giegerich, Bastian (2005). "Satellite States – Transatlantic Conflict and the Galileo System". Paper presented at the annual meeting of the International Studies Association, Hilton Hawaiian Village, Honolulu, Hawaii, Mar 05, 2005. Unpublished Manuscript. ^ Selective Availability. Retrieved 31 August 2007. ^ "DoD Permanently Discontinues Procurement of Global Positioning System Selective Availability". DefenseLink. 18 September 2007. Archived from the original on 18 February 2008. Retrieved 17 December 2007. ^ "GPS.gov: Selective Availability". www.gps.gov. Retrieved 2018-02-04. ^ "'Unanimous backing' for Galileo". BBC. 30 November 2007. Retrieved 19 April 2010. ^ "Commission awards major contracts to make Galileo operational early 2014". 7 January 2010. Retrieved 19 April 2010. ^ "Galileo 'compromise' is emerging". BBC News. 23 November 2007. Retrieved 3 May 2010. ^ "Galileo legal process ticks over". BBC News. 7 April 2008. Retrieved 3 May 2010. ^ Europe Cuts Galileo Sats Order. Aviation Week (26 October 2009). Retrieved 29 October 2011. ^ "The EU's Galileo satellite project could cost UK taxpayers £2.6 billion more than originally planned" (Press release). openeurope.org.uk. 17 October 2010. Archived from the original on 19 July 2011. Retrieved 24 November 2010. ^ esa. "Inauguration of site of Galileo station at Kourou". ^ Initial Galileo Validation Satellites Delayed. Spacenews.com (10 March 2010). Retrieved 29 October 2011. ^ "EU Expects Galileo Project Costs to Explode". Spiegel. 2011. ^ "Galileo's navigation control hub opens in Fucino". ESA. 20 December 2010. Retrieved 20 December 2010. ^ OHB-System CEO Calls Galileo a Waste of German Tax Payer Money Date 22 October 2009. Aftenposten.no. Retrieved 29 October 2011. ^ "Europe's Galileo sat-nav in big cash boost". BBC News. 22 June 2011. ^ Arianespace website Archived 22 October 2011 at the Wayback Machine. Arianespace.com. Retrieved 29 October 2011. ^ Arianespace website Archived 16 October 2012 at the Wayback Machine. Arianespace.com. Retrieved 12 October 2012. ^ esa. "What is Galileo?". ^ a b "Galileo clock anomalies under investigation". European Space Agency (ESA). 19 January 2017. Retrieved 19 January 2017. 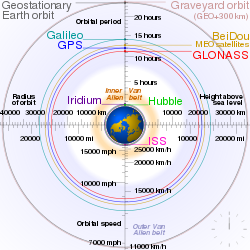 ^ "Atomic clocks 'failed' onboard Galileo navigation satellites". Agence France-Presse AFP. 18 January 2017. Retrieved 19 January 2017. ^ a b c "Galileo satellites experiencing multiple clock failures". British Broadcasting Corporation (BBC). 17 January 2017. Retrieved 18 January 2017. ^ a b "Rash of Galileo clock failures cast doubt on timing of upcoming launches". spacenews.com. 19 January 2017. Retrieved 29 January 2017. ^ "ISRO readies replacement satellite after clock failure". defencenews.in. Retrieved 2017-09-22. ^ "ISRO readies replacement satellite after clock failure". The Indian Express. 2017-08-29. Retrieved 2017-09-22. ^ D.S., Madhumathi. "Atomic clocks on indigenous navigation satellite develop snag". The Hindu. Retrieved 2017-03-06. ^ Mukunth, Vasudevan. "3 Atomic Clocks Fail Onboard India's 'Regional GPS' Constellation". thewire.in. Retrieved 2017-03-06. ^ "Europe's Galileo Satnav Identifies Problems Behind Failing Clocks". NDTV Gadgets360.com. Retrieved 2017-09-22. ^ "Europe's Galileo satnav identifies problems behind failing clocks". phys.org. 21 July 2017. Retrieved 15 September 2017. ^ "Europe finds cause of Galileo's faulty clocks". AFP-Global Times. 3 July 2017. Retrieved 15 September 2017. ^ "Europe's Galileo satnav identifies problems behind failing clocks". AFP-The Express Tribune. 4 July 2017. Retrieved 15 September 2017. ^ Press release. Europa.eu (3 June 2005). Retrieved 29 October 2011. ^ Marks, Paul. "China's satellite navigation plans threaten Galileo". NewScientist.com. Retrieved 19 November 2006. ^ Levin, Dan (23 March 2009). "Chinese Square Off With Europe in Space". New York Times. Retrieved 2018-01-20. ^ "'Unanimous backing' for Galileo". BBC News. 30 November 2007. Retrieved 3 May 2010. ^ Norway joins EU's Galileo satnav project. GPSdaily.com. 3 April 2009. Retrieved 29 October 2011. ^ "UK might have to build a new satellite system after Brexit, government says". Independent. 30 November 2007. Retrieved 25 April 2018. ^ "Speech by Michel Barnier at the EU Institute for Security Studies conference". www.europa-nu.nl (in Dutch). Retrieved 2018-05-19. ^ "Galileo: Funding pledge for UK rival to EU sat-nav system". BBC News. 26 August 2018. Retrieved 2018-08-26. ^ "Brexit: Sam Gyimah resigns over Theresa May's 'naive' deal". BBC. 1 December 2018. Retrieved 1 December 2018. ^ "Galileo fact sheet" (PDF). ESA. 15 February 2013. Retrieved 8 December 2015. ^ "DocsRoom - European Commission". ec.europa.eu. ^ "What about errors". European Space Agency. Retrieved 16 January 2017. ^ "38th Annual Precise Time and Time Interval (PTTI) Meeting GALILEO SYSTEM TIME PHYSICAL GENERATION" (PDF). ^ "What is Galileo?". ESA. 11 April 2010. Retrieved 21 December 2010. ^ "Galileo works, and works well". ^ GIOVE mission core infrastructure, ESA press release, 26 February 2007. ^ One year of Galileo signals; new website opens, ESA press release, 12 January 2007. ^ Galileo IOV Satellites. (2014, November 3). Navipedia, . Retrieved 21:22, May 1, 2015 from http://navipedia.net/index.php?title=Galileo_IOV_Satellites&oldid=13446. ^ Soyuz carrying Galileo satellites launched. Bangkok Post (21 October 2011). Retrieved 29 October 2011. ^ a b "Galileo: Europe's version of GPS reaches key phase". BBC. 12 October 2012. Retrieved 12 October 2012. ^ esa. "Galileo fixes Europe's position in history". ^ Amos, Jonathan (7 January 2010). "EU awards Galileo satellite-navigation contracts". BBC News. ^ Dunmore, Charlie (1 February 2012). "UPDATE 1-OHB beats EADS to Galileo satellite contract -sources". Reuters. ^ esa. "Next Galileo satellites arrive at Europe's Spaceport". ^ Amos, Jonathan (22 August 2014). "Europe expands Galileo network" – via www.bbc.com. ^ Rhian, Jason (22 August 2014). "Doresa and Milena Galileo spacecraft rise into morning sky via Soyuz ST-B". Spaceflight Insider. ^ "Galileo satellites experience orbital injection anomaly on Soyuz launch: Initial report" (Press release). 23 August 2014. Archived from the original on 27 August 2014. Retrieved 27 August 2014. ^ Gannon, Megan. "Wayward Satellites Test Einstein's Theory of General Relativity". Scientific American. Springer Nature America, Inc. Retrieved 9 February 2019. ^ "Galileo satellites well on way to working orbit". European Space Agency. 10 April 2015. Archived from the original on 5 June 2015. Retrieved 31 May 2015. ^ "Arianespace continues deployment of Galileo, a flagship project for Europe" (PDF). Arianespace. March 2015. Archived from the original (PDF) on 27 June 2015. Retrieved 31 May 2015. ^ "Galileo taking flight: ten satellites now in orbit". European Space Agency. 11 September 2015. Archived from the original on 3 March 2016. ^ "Galileo pair preparing for December launch". European Space Agency. 2 November 2015. Archived from the original on 6 December 2015. Retrieved 13 December 2015. ^ "Vega light rocket makes sixth successful launch". Launch [...] is scheduled for 17 December. Soyuz Flight VS13 will orbit two more satellites for Europe’s Galileo navigation system. ^ "Europe adds two more satellites to Galileo sat-nav system". Retrieved 2015-12-17. ^ Correspondent, Jonathan Amos BBC Science. "Two more Galileo satellites launched". BBC News. Retrieved 2015-12-17. ^ "Galileo constellation deployment: Arianespace to orbit two more satellites on a Soyuz launcher in May 2016 - Arianespace". Arianespace. Retrieved 2016-11-15. ^ "Galileo satellite launches - Growth - European Commission". Growth. Retrieved 2016-11-15. ^ "Arianespace serves the Galileo constellation and Europe's ambitions in space with the signature of three new launch services using Ariane 5 ES". Arianespace. 20 August 2014. Archived from the original on 23 September 2015. ^ "Ariane Flight VA233 - Arianespace". Arianespace. Retrieved 2016-11-15. ^ "Ariane Flight VA240 - Arianespace". Arianespace. Retrieved 2017-12-13. ^ "Galileo Launch Brings Navigation Network Close To Completion". ESA. Retrieved 2017-12-13. ^ "Ariane Flight VA244 - Arianespace". Arianespace. Retrieved 2018-07-26. ^ esa. "Electric thrusters may steer Galileo in future". ^ ESA. Galileo Launch: Completing the Constellation. Retrieved January 22, 2019 – via galileognss.eu. ^ a b c "gnss-geo6.org". Archived from the original on 13 February 2008. Retrieved 5 October 2006. ^ "Galileo-enabled devices | European GNSS Service Centre". www.gsc-europa.eu. Retrieved 2017-02-22. ^ "UseGalileo - Find a galileo-enabled device to use today". www.usegalileo.eu. Retrieved 2017-02-22. ^ "Motorola Moto X4 - Full phone specifications". www.gsmarena.com. Retrieved 2017-10-19. ^ Motorola. "Moto X4 | Smartphones Motorola - brmoto". www.motorola.com.br (in Portuguese). Retrieved 2017-10-19. ^ "Specifications - Samsung Galaxy S8 and S8+". The Official Samsung Galaxy Site. ^ "iPhone 8 - Technical Specifications". Apple. ^ "iPhone X - Technical Specifications". Apple. ^ Barbeau, Sean (2018-10-25). "Where is the world is Galileo?". Sean Barbeau. Retrieved 2018-10-28. ^ "Official: Foreign GNSS Signals Need FCC Authorization for Use in United States - Inside GNSS". Inside GNSS. 2014-12-16. Retrieved 2018-07-11. ^ "FCC Public Notice, docket 17-16" (PDF). ^ "FCC paves the way for improved GPS accuracy". The Verge. Retrieved 2018-11-16. ^ Grace, Neil (2018-11-15). "FCC APPROVES USE OF GALILEO GLOBAL NAVIGATION SATELLITE SYSTEM IN THE UNITED STATES" (PDF). FCC.gov. ^ "Galileo-enabled devices". European GNSS Service Centre. Retrieved 2 January 2019. ^ Barbeau, Sean (2018-04-04). "Dual-frequency GNSS on Android devices". Medium.com. Retrieved 2019-01-23. Dr Richard North: Galileo – The Military and Political Dimensions. 2004.